Esri Nederland B.V., Esri's distributor in the Netherlands, works closely with BNR Nieuwsradio, a radio station and online publication that covers economic, political, sports, and technology news, to analyze and visualize data and then produce maps for BNR Nieuwsradio's website. 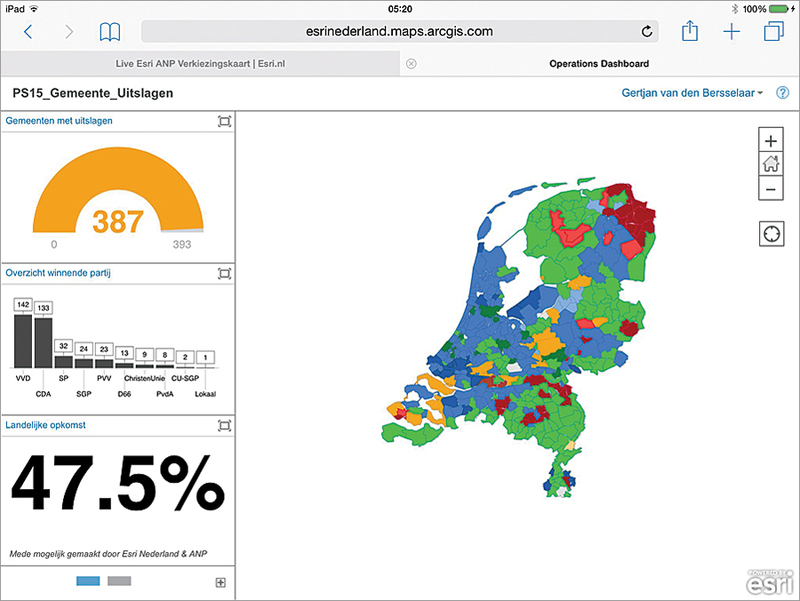 For example, data was mapped for stories about the provincial elections in the Netherlands, European Parliament elections, the Ebola virus crisis in Africa, bird flu outbreaks in the Netherlands, and 2014 World Cup Soccer matches in Brazil. 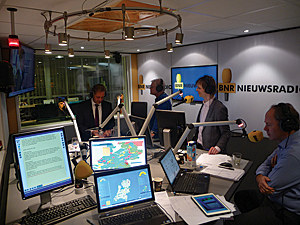 Staff from Esri Nederland occasionally provide commentary about what the maps show during radio broadcasts. The audience is very interested in the maps said Thijs Baas, web editor at BNR Nieuwsradio. "The maps make the national news more meaningful to people, helping them to answer questions such as, What do the election results mean to me and my community?" Baas said. "A visualization creates an image. People think in images, and we see that reflected in the statistics on our website. When we have a map on our website where you can see the impact of the national news on your own community, the readership for the story increases." Another trend the maps revealed was that people in the Christian region (known as the Netherlands' Bible Belt), who live in a corridor that runs from the southwest to the north in the middle of the country, vote in higher percentages than the people living in other regions. This map showed that two parties—the ChristianUnion (CU) and the Reformed Political Party (SGP)—did particularly well in the Christian region during the 2015 election. 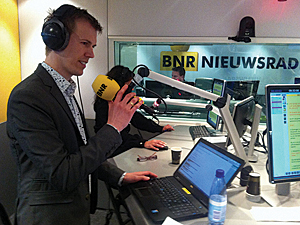 "Society profits from having a geographic view," said Sjors Fröhlich, editor in chief of BNR Nieuwsradio, during the Esri GIS Conference in the Netherlands in 2014. 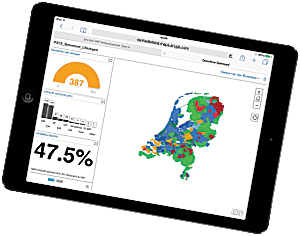 "GIS users can be generous with sharing data. You are sitting on gold—so much useful information." But Fröhlich knows that making data public can conflict with privacy policies that are important in the Netherlands. "But we can do beautiful and useful work with data by visualizing it and doing research on it," Fröhlich said. "The data can clear up things and sometimes prompt the government to take needed actions. Society will benefit by making data public, I am sure."